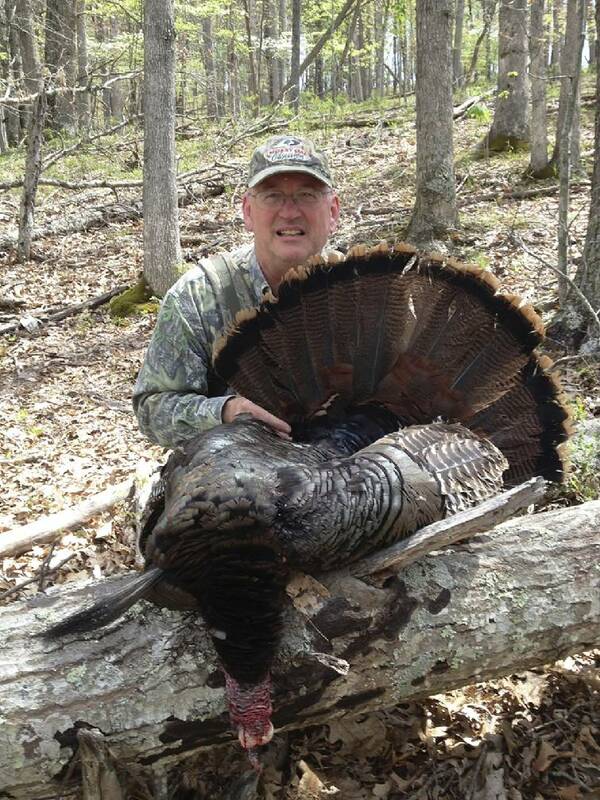 Outdoors columnist Larry Case shows off a gobbler killed in Summers County, W.Va. Case's love-hate relationship with turkey hunting tips enough toward love for him to keep going back to the woods every spring, despite the stupidity of it all. Some of you reading this live in a state that has a spring turkey hunting season open right now. For others, it is just around the corner. The dyed-in-the-wool, addicted turkey hunters are as excited as a crazed ferret. Right now they're rambling around the house or even at work, practicing on a turkey call or blowing on an owl hooter, driving fellow employees mad and forcing wives to get the lawyer's number off that magnet on the refrigerator. If you are a turkey hunter, boys and girls, it is the once-a-year miracle, the big show, Christmas, New Year's, your birthday and a winning lottery ticket all in one. In spring, the weather warms, turkeys gobble and we celebrate the world waking up after the long winter. It is a wonderful time of year, and I love it and I also hate it. Why? Because turkey hunting is stupid, that's why. What? How could I possibly say that? If you follow this column, you know I have written about this before. My friend Richard Mann, the noted guns writer, first spoke these words of sedition a few years ago (Richard is not a turkey hunting fan and doesn't really care for shotguns; I know, I know — I can't figure it out either), and I have been elaborating about it since. 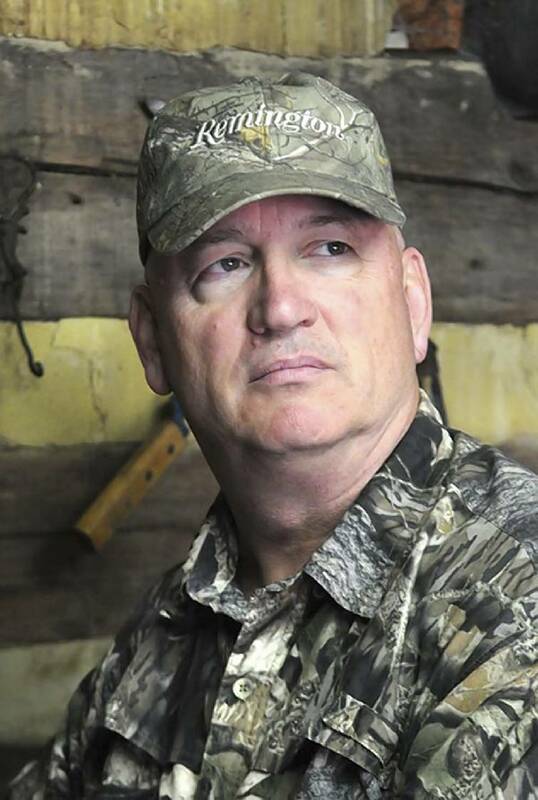 Here are a few reasons I think hunting the king of game birds, something I will be doing every day of the season possible, is in fact, stupid. Spring turkey season means no sleep. Turkey hunters know well what I am talking about. In order to be successful, most hunters feel they have to be in the woods before sunrise. Yes, that's right, before daylight. Before the least hint of glow in the east, before the first little tweety bird wakes up and gives a sleepy chirp, before anything in the woods wakes up, you have to be at your listening place, the spot where you hope to hear that first gobble of the wild turkey. Remember that this spot is almost never close to a road, which means a long, dark walk in the woods may be in order. Don't forget — you have to drive to the place to start your hike, and before that you have to crawl out of a perfectly good warm bed and get ready. This means you have get up in the middle of the night, drink a lot of bad coffee and try to wake up as you look forward to stumbling around in the dark to get to a place you may hear a big bird in a tree make a lot of funny noises. Turkey hunting is stupid. Turkey hunting entices us to buy all kinds of new gear. There are mountains of other gear for turkey hunters out there, including all manner of camo clothing, turkey vests that you can wear to carry enough gear for a small army and an assortment of different turkey calls that would not fit into a catalog the size of an unabridged copy of "War and Peace." Now that I think about it, all of this accumulating of new shotguns and gear is not such of bad thing, I mean, that would be going against Case's Outdoor Theorem No. 3, which as you well know says we can never have enough shotguns or hunting gear. So I would say even though turkey hunting is stupid, if it makes us acquire more guns and gear, that is OK.
We are hunting a bird that is crazy. Those who pursue the wild turkey know what I am talking about. Turkeys do some of the wildest, unexplainable things imaginable. How does a gobbler become so wary and unapproachable during the season, avoiding you at every turn as if it owes you money? The day after the season closes, you can drive by and he is standing beside the road with six of his chums and would not dream of running away. A 10-year-old with a Daisy Red Ryder BB gun could bag all of them in one fell swoop. Sometimes you run into individual crazy gobblers that may do things like stay on the roost till 9 or 10 in the morning (I think they like to sleep in sometimes, too) or refuse to gobble at anything except a clanging cow bell or a peacock call. Then there's the ever-popular flight down into the middle of a 500-acre field before staying out there all day like a prairie dog. No one in heaven or earth knows why these turkeys do these things because they don't know themselves. I say again, turkey hunting is stupid. Well, there it is. You may not agree with any of this, and that is OK. Even though I think turkey hunting is stupid, that doesn't mean I am going to quit hunting them, not for one minute. Ralph Waldo Emerson wrote that "it is one of the blessings of old friends that you can afford to be stupid with them." This spring, Lord willing, I will be out in the wildwoods with old friends doing stupid things like turkey hunting.